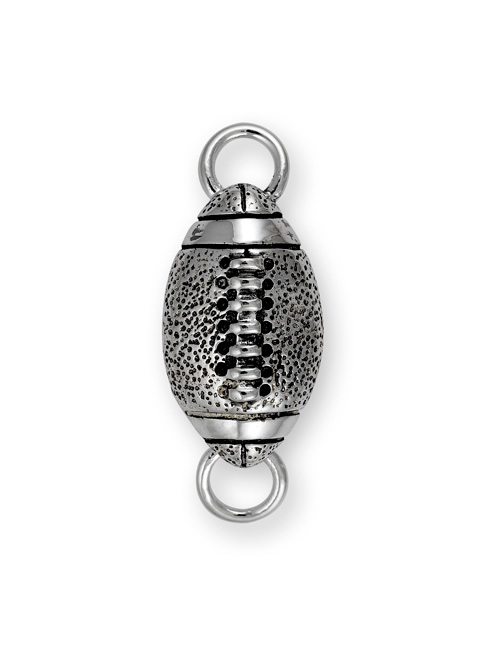 Sterling Football Clasp for the Custom Clasp Collection. Note: All Custom Clasp designs are 1 inch length. Take this into consideration when purchasing/sizing our accompanying customizable bracelets. For example, if your regular bracelet measuement is 7.5 inches, order a size 6.5 inch Custom Clasp bracelet with your 1 inch Custom Clasp. You can manually adjust your Custom Clasp bracelet to fit both the large and small Clasps by GENTLY opening or closing the two ends of the Custom Clasp bracelet. Available in 14K Gold. Call 954-767-6185 for latest Gold pricing.